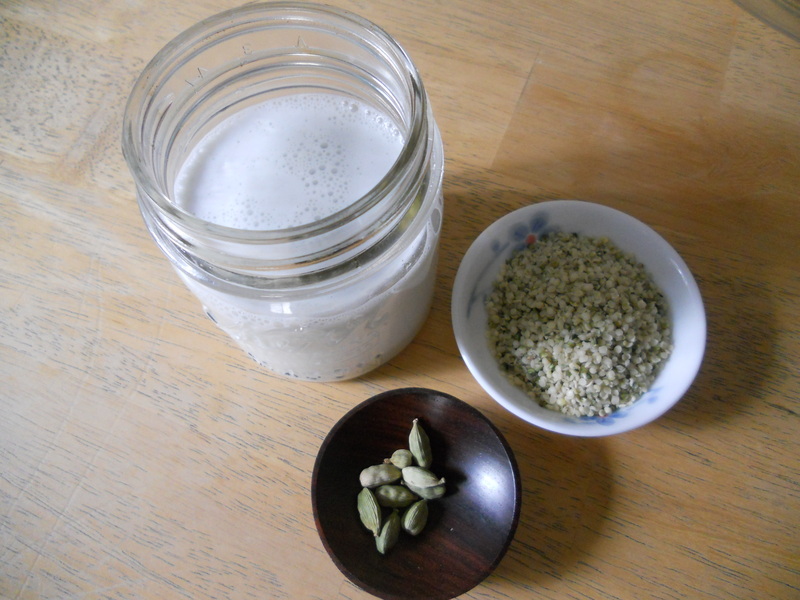 I love any type of hemp milk…. but this one is just so delicious!! Add it to tea or coffee to give it an exotic flavor reminiscent of Chai. Hemp milk is good for you because it has a balanced profile of omega 3’s and 6’s, great for keeping up the perfect proportion of good fats in your diet. This recipe is a simple one and can be modified in many ways. For instance: add a handful of raspberries to make a fruit flavored hemp milk, or add vanilla and a little agave to make a sweet vanilla hemp milk… the possibilities are endless! If you have a high speed blender (like a Vitamix) then just blend all ingredients (using seeds from cardamom pods) on high speed until nice and creamy like milk (1-2 minutes). Otherwise grind up hemp seeds and seeds from cardamom pods in a coffee/herb grinder until fine and powdery. Then add water and cardamom pods to blender and keep blending until frothy. Enjoy!! !